Sónar 2019 presents new shows by Four Tet, Arca, Vince Staples, Kaytranada, Underworld, Jlin, DJ Koze and Fennesz. 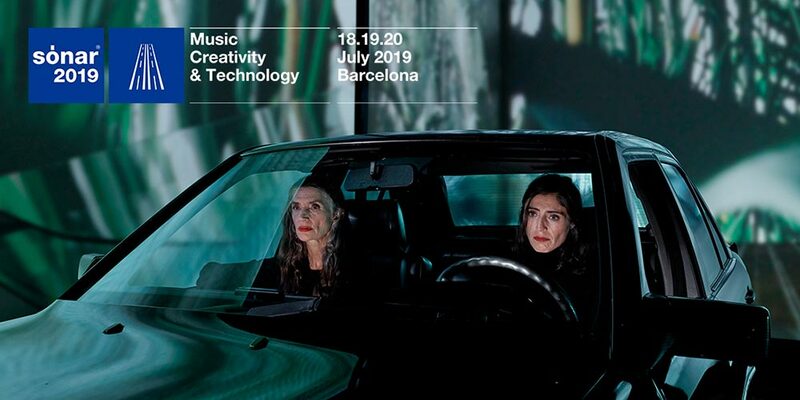 With more than 40 artists added to its programme, the 26th edition of the festival will showcase new global trends in electronica this July in Barcelona. Today’s additions include Four Tet, with his only festival appearance in Spain in summer 2019 and the brand new show from the brilliant Venezuelan performer Arca, playing unreleased new material. Sónar will also feature Vince Staples, one of the most respected MCs in American hip hop as well as R&B innovator, Kaytranada, presenting a new album. Sónar by Night will host the impressive audiovisual show of classic act Underworld; the live show by futuristic producer Jlin; DJ Koze closing Friday night at SonarPub; much loved progressive techno dj Daniel Avery; and a 6-hour session at SonarCar by three New York legends; the dj collective Body & Soul formed by Joe Claussell, Danny Krivit and François K.
Daphni will bring SonarVillage to a close on the first day of the event with a 2-hour set; Red Axes present their recent work recorded in Ethiopia and Ivory Coast; and Fennesz, one of the most important artists in the European experimental scene, presents his first solo album in 5 years. Also joining the line-up is Holly Herndon, performing with a new ensemble of musicians and AI; Kelly Moran with a live performance merging prepared piano and immersive visuals titled Grand Piano AV Show; a house and electronica set from Leon Vynehall at SonarVillage; the tribal rhythms of the Peruvian duo Dengue Dengue Dengue; a closing set from Erol Alkan on the final day of the festival ; the emerging Irish MC Rejjie Snow; and the multi-instrumentalist proponent of trap-jazz Masego, plus many more. This new release of artists, and more, join the already announced shows by A$AP Rocky, Skepta, Disclosure dj set, Paul Kalkbrenner, Dixon, Amelie Lens, Floating Points SonarCar 6 hour set, Maya Jane Coles, Actress + Young Paint, Deena Abdelwahed, Lotic, Bruce Brubaker with Max Cooper, Nicola Cruz, K Á R Y Y N and Bad Gyal, among many others. Over the next few weeks the programme will be completed, bringing the total to more than 140 performances spread over the 9 stages of Sónar by Day and Sónar by Night. Listen to the first playlist of the Sounds of Sónar 2019 here, compiled by the festival directors. Ross From Friends, RRUCCULLA, Saoirse, Sho Madjozi, Skepta,Slikback, Snakehips, Underworld, Vince Staples, Waajeed, & many more to be announced. Connect with Sonar Festival on Facebook and their Official Website for more information about Sonar 2019.